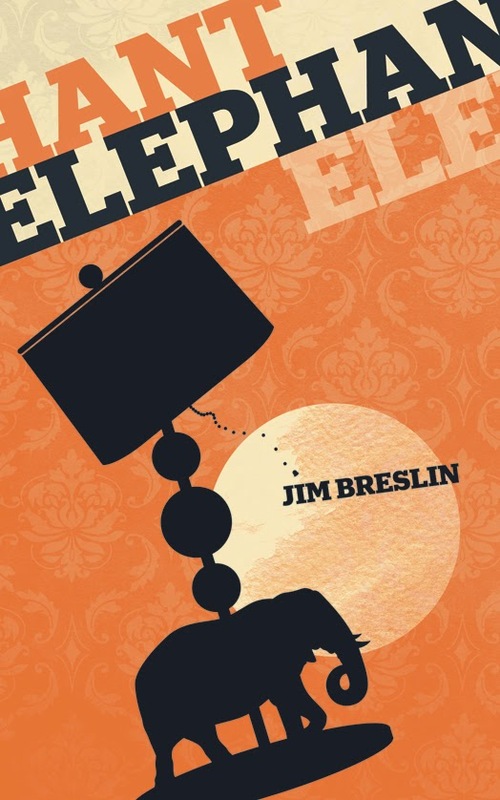 Jim Breslin is the author of Shoplandia, a humorous novel about the working lives of show hosts, producers and crew at a home shopping channel set in suburban PA. His short story collection, Elephant, came out in 2011. Jim's short fiction has appeared in Schuylkill Valley Journal, Molotov Cocktail, Turk's Head Review, and other journals. His micro-publishing project, Oermead Press, has also published Chester County Fiction and a poetry chapbook, Exit Pursued by a Bear by Virginia Beards. Jim is the founder of the West Chester and Delco Story Slams. I recently spoke with Jim about his work. 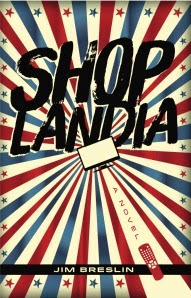 Curtis Smith: I love the premise of SHOPLANDIA. It’s such a world unto itself—while also being a reflection of the larger culture. Jim Breslin: Thanks, Curtis. A television studio is a unique place, and when you insert the content of the production, and the characters involved, it often feels like a three-ring circus. I worked as a television producer at QVC for seventeen years, so that was the inspiration for the novel. CS: What do you think the future holds for such a marketing/sales model? Is it something that will be supplanted by online shopping or other technologies—or does it provide a kind of removed intimacy that gives it a unique niche? JB: I was working at QVC before Amazon was even founded, and we had concerns about online shopping. It’s been interesting though. I think there are many women who like to shop – they shop for entertainment – and these are the folks who love watching shopping channels. There really is a relationship between hosts and customers. CS: I imagine a live, 24-hour environment like QVC must be almost surreal at times. It’s such a rich backdrop. There must have been real-life situations every bit as crazy as those in the novel. CS: You’ve also published ELEPHANT, a story collection. I know writing stories and novels each bring their own rewards and challenges. Can you describe your journey and experiences down these paths? JB: The collection ELEPHANT came together after I started having a few short stories published in journals. I was writing a lot of stark, middle aged angst, suburban stories. Some were humorous stories, others were dark. With SHOPLANDIA, my goal was to capture the spirit of the live studio. I really wanted to tap into the feel of a unique workplace, a subculture that has not really been written about. CS: I’m interested in the idea of literary citizenship. It’s one thing for us to write our stories and books—it’s another to give back and create for the community. With this in mind, can you tell us about your role as founder of the West Chester Story Slam? What have you—and the community—gained from this experience? JB: West Chester Story Slam has been such a rewarding experience. I held the first one in my living room with some friends. Now, we’re holding our fifth season and the event sells out almost every month. Anyone can take the stage and tell a story based on the theme. We hear about ten stories on a night. It’s kind of like reading an anthology. I always walk away in awe of at least a few of the stories. Storytellers sign a release and I put the stories on the website and also produce a monthly podcast. When someone tells a story, they reveal something about themselves, and so friendships develop. I’ve met so many awesome people over the five years – and I’ve heard many incredible stories. CS: You’ve also stepped into the other realm of the publishing world by starting your own small imprint, Oermead Press. JB: I call it “my micro-publishing project.” We’ve published CHESTER COUNTY FICTION, which really received nice press from Main Line Todayand WHYY. Again, it is about building community. In addition to my two books, we’ve published a poetry chapbook EXIT PURSUED BY A BEAR by retired Penn State Professor Virginia Beards. CS: What’s next for you as a writer and as a publisher? JB: To celebrate the fifth year of West Chester Story Slam, Oermead Press is publishing WEST CHESTER STORY SLAM—SELECTED STORIES 2010-2014 this November. I’m also producing a new event that will feature curated stories. West Chester Center Stage: Faith is coming in September. As for writing, I’m dusting off an old novel and taking a fresh look at it. I also have an idea for a novella that I’m tinkering with. And of course, I’ll keep writing flash fiction. Interviewer bio: Curtis Smith's latest book is Beasts and Men, a story collection from Press 53. In early 2015, Dock Street Press will release Communion, his next essay collection. In 2016, Aqueous Books will publish his next novel, Lovepain.